Speaking of new ways to consume the news, Microsoft is working on new app which could make your morning commute more productive. Neowin has uncovered details about an unannounced Bing app called NewsCast. This app is still limited to iOS and is still being tested internally, but according to early reports the app lets you listen to the news you want while you are driving. It's apparently designed to be a radio-type of program, rather than a simple TTS. Each snippet is 30 seconds in length, and you will be able to customize the feed to achieve the best balance of local, national, and global news. I played around with the app a bit and what it does is read aloud the news stories using a text to voice service from Microsoft's speech team. There are two voices that alternate when reading each story and you can save articles for review later as well. Right now, the app is a bit bare-bones as you cannot change the source lists or customize the feed in any way. The voices, while not quite natural, are not too robotic but there is definitely room for improvement when compared to Cortana. Apps that read articles to you are quite common in 2015; most save for later apps (Pocket, instapaper, etc) offer the feature. 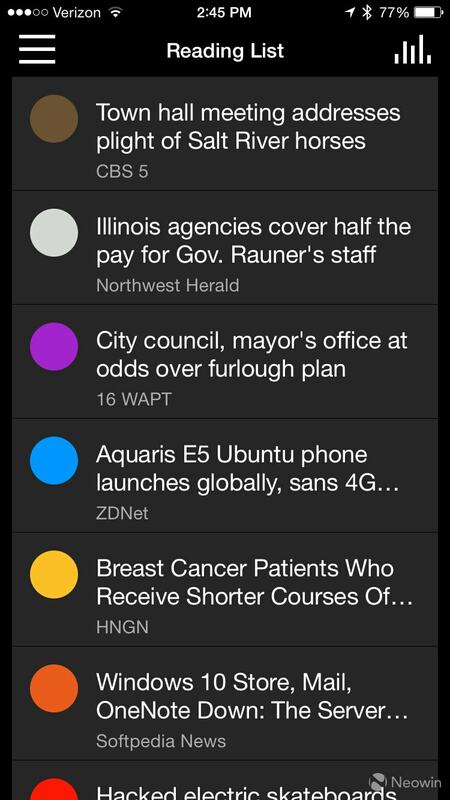 NewsCast, on the other hand, is closer to being an app that will let you scan your news feeds for recent reads and then queue them for later. Or at least that is what it looks like at the moment, and I hope it keeps this form when or if it is released. A hands-free way to winnow the chaff from a news feed would be very useful.